Other essays deal with long-term religious processes, such as the Christian pilgrimage in Europe and the emergence of anti-caste movements in India. Finally, he directs his attention to other social phenomena such as transitional and marginal groups, hippies, and dissident religious sects, showing that in the very process of dying they give rise to new forms of social structure or revitalized versions of the old order. Victor Turner was born in Scotland and educated in England. He began his career as a research officer with the Rhodes-Livingstone Institute in northern Rhodesia. 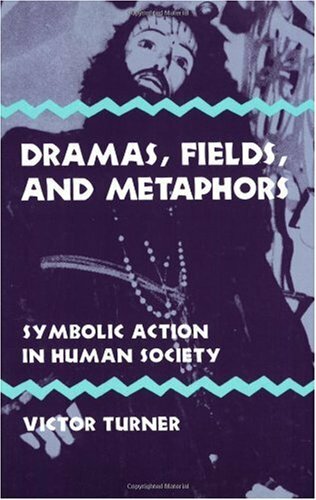 Best known for his ethnographic studies of ritual and social process among the Ndembu, Turner also produced significant theoretical insights about rites of passage, the psychology of healing, conflict management, the importance of drama and play, and the theory of symbolic interpretation. He spent much of his career at universities in the United States and was among the leading figures in the turn to symbolic interpretation that marked American anthropology during the 1960s and 1970s.